Israeli forces positioned on the eastern border of the Gaza Strip opened fire on Tuesday, at dawn and in the morning hours, towards Palestinian lands, sheep herders and a resistance site. 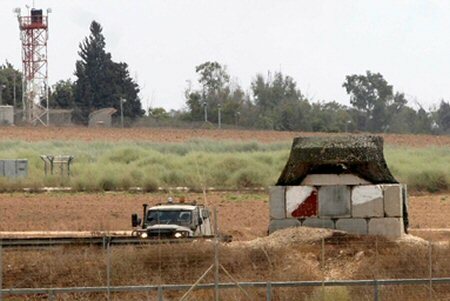 Soldiers fired at citizens’ lands in al-Qarara area, east of Khan Younis, in the southern Gaza Strip, Al Ray reports. The army also opened fire towards farmers and sheepherders, east of al-Zaytoun neighborhood and east of al-Bureij area, in the central Gaza Strip. They also opened fire at a resistance checkpoint east of Rafah in the southern Gaza Strip at dawn , but no injuries were reported in all previous incidents. In related news, two Palestinians were shot and injured by Egyptian forces on Monday night, while attempting to cross from Gaza into Egyptian territory, in the northern Sinai Peninsula. Palestinian security and medical sources told Ma’an News Agency that that four Palestinians were attempting to cross into the Sinai when Egyptian security forces opened fire at them, injuring two of them in the legs. Gaza security forces arrested the four, transferred the two injured to a medical center, and transferred the other two for questioning.